Make this Valentine’s one to remember at the exclusive Osborne Hotel with our perfect package guaranteed to fill your weekend with romance. We’re offering a night’s accommodation, a romantic meal for two and a glass of fizz each for just £179.95 for either Saturday 10th February or Saturday 17th February. If you’re interested in the romantic Valentine’s meal, including a glass of bubbly, it’s just £39.95 per head but must be booked in advance. Optional extras include a selection of truffles and a bottle of Champagne. And on the big day itself, we’ll be celebrating Valentine’s night with a selection of Valentine’s specials on the menu. Don’t forget to book your table early to avoid disappointment! Take a look at our menu below, it’s sure to get your mouth watering! Call us now on +44(0)1803 213 311 to book your place. It’s the most wonderful time of the year and all the team at the Osborne Hotel would like to wish you a very Merry Christmas and Happy New Year! The last 12 months have been full of excitement for us at the Osborne Hotel. We have enjoyed a summer bursting with sunshine and enjoyed hosting every one of our customers, so thank you for all your support and we hope you enjoyed your stay. 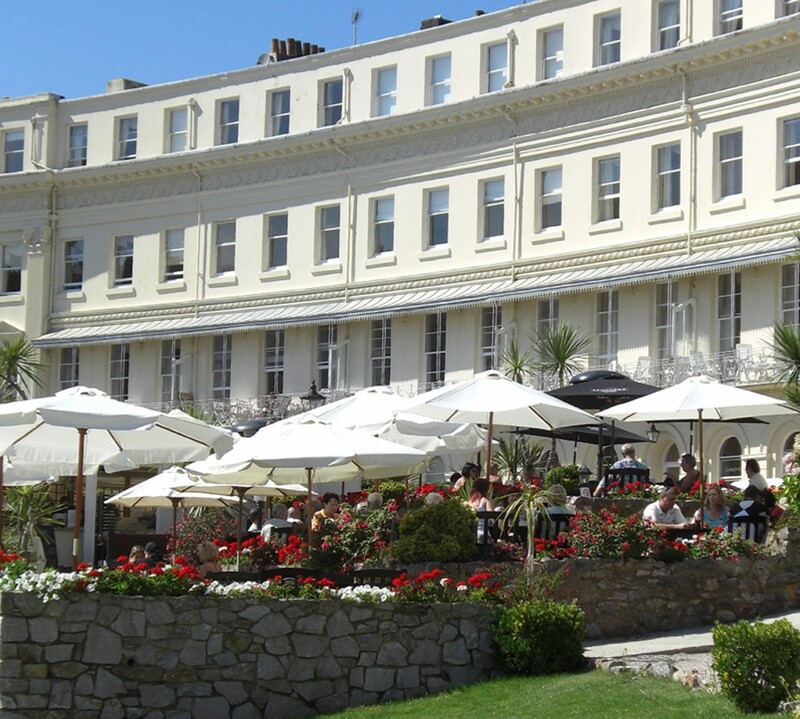 It’s also been a big year for developments, as we renovated our Crescent Restaurant and Bar and introduced our fantastic new hospitality suite complete with its own private terrace overlooking the inspiring views of the Torbay coastline. We’re looking forward to seeing you all again in 2018 but before that, we’ve still got a lot of fun to have with our Christmas Eve, Christmas Day and Boxing Day celebrations. And in case you haven’t booked your ticket yet, don’t forget we’ll be seeing in the New Year in Great-Gatsby style with a Gala Ball. Kicking off at 6.30pm, you’ll be treated to glass of fizz before sitting down to a fabulous eight-course dinner. Once you’ve delighted your taste buds, you can turn your attention to an evening of live music and entertainment from the incredible Jukebox Jazz that will take us right through into 2018! Call us now on 01803 213 311 to book your place for just £85 per person. It’s the biggest party of the year and there’s nowhere better to see in the New Year than at the exclusive Osborne Hotel. We’ll be hosting a New Year’s Eve extravaganza in the style for the Great Gatsby, complete with 1920s fashion, cocktails and endless supply of fun. There’s still time to book your place, so make sure you call us now to prevent missing out on the biggest party of 2017. You’ll pull up outside our hotel with the fantastic Torbay coastline in sight before entering another era as you walk through the doors for our New Year’s Eve Gala Ball. Kicking off at 6.30pm, you’ll be treated to glass of fizz before sitting down to a fabulous eight-course dinner. Once you’ve delighted your taste buds, you can turn your attention to an evening of live music and entertainment from the incredible Jukebox Jazz that will take us right through into 2018!